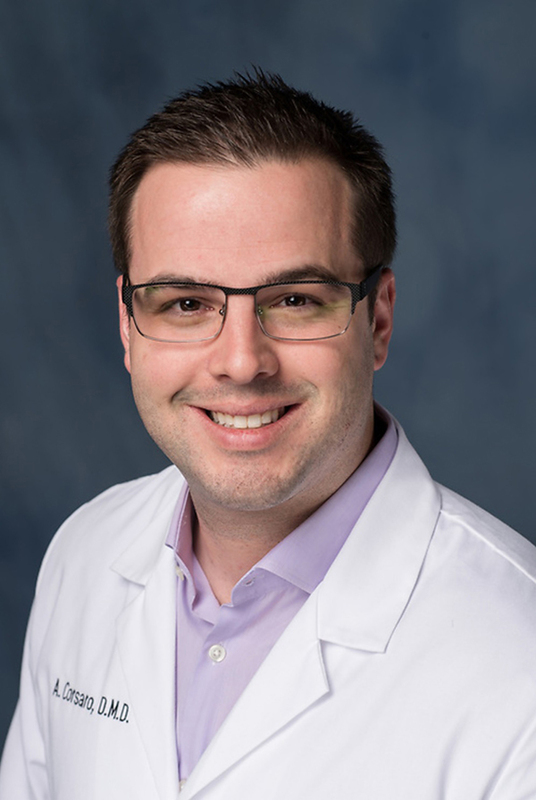 On August 20, 2018, Andrew Corsaro, D.M.D., a clinical assistant professor, joined the University of Florida Department of Restorative Dental Sciences Division of General Dentistry. A team leader, Corsaro’s primary responsibility is teaching predoctoral students in the clinical setting, as well as providing some didactic and preclinical teaching. Corsaro is also working as an assistant to the college’s associate dean for clinical affairs and quality, helping oversee and manage clinic-related concerns, operations and special projects. He is also providing care for patients in the college’s faculty practice as a general dentist. Corsaro earned his bachelor’s in biology in 2007 and his master’s in biomedical science in 2009, both from Florida Atlantic University in Jupiter, Florida. He then earned his dental degree from the UF College of Dentistry in 2013. After graduation, Corsaro worked at Anderson Dental in West Palm Beach, Florida, from 2013 to 2018, and was a senior dentist at the Florida Department of Corrections in Sanderson, Florida, before joining the college. He has been a teaching assistant at Florida Atlantic University and at UF, and has served as a courtesy faculty member of UFCD since 2017. He is also a captain in the Florida Army National Guard, serving as a dentist overseeing diagnosis, and dental classification and readiness for more than 5,000 Florida Army National Guard members. If you would like to make an appointment for your dental care with Dr. Corsaro in our Faculty Practice General Dentistry Center, please call 352-273-7654.